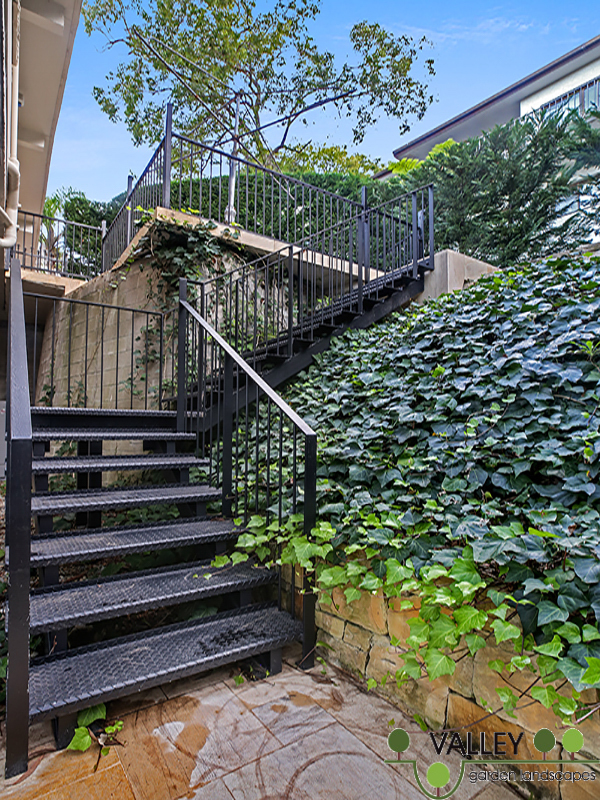 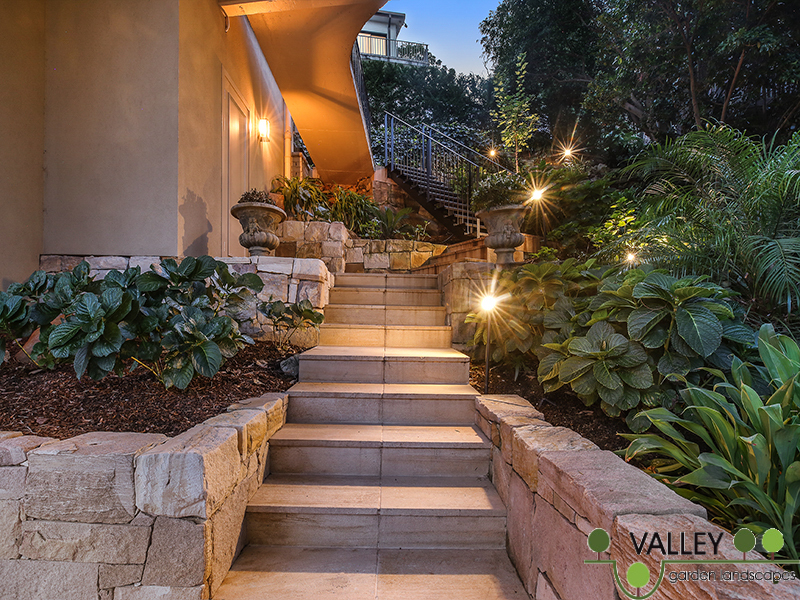 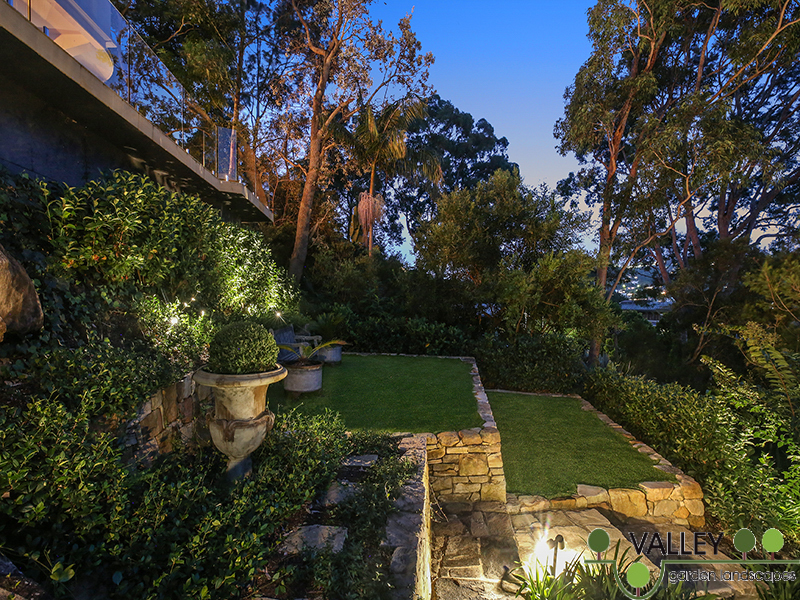 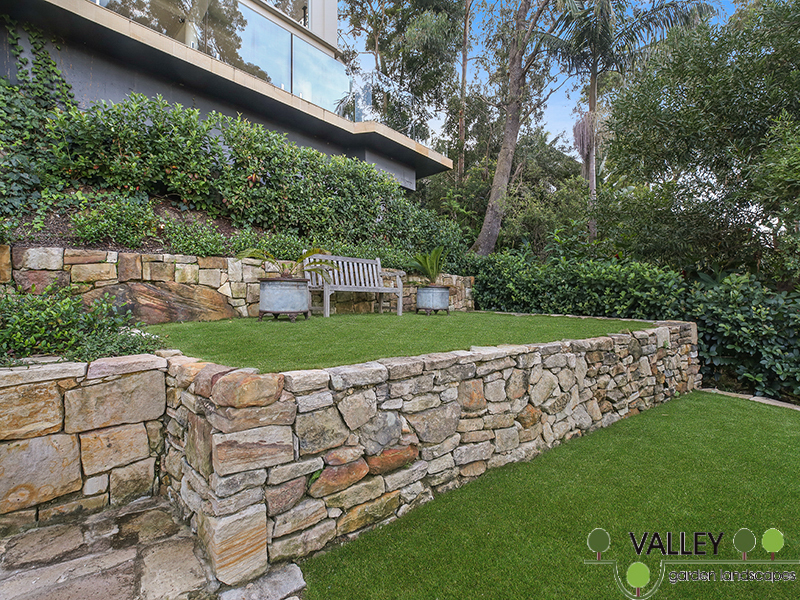 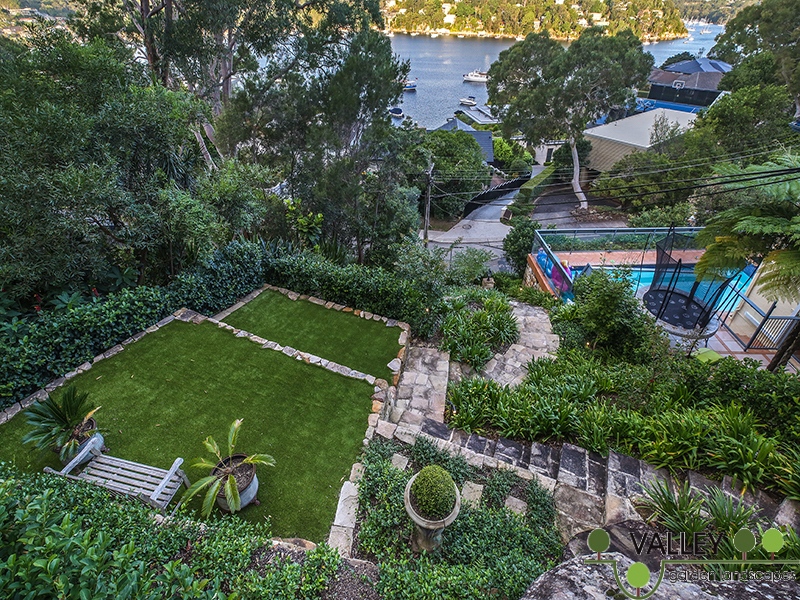 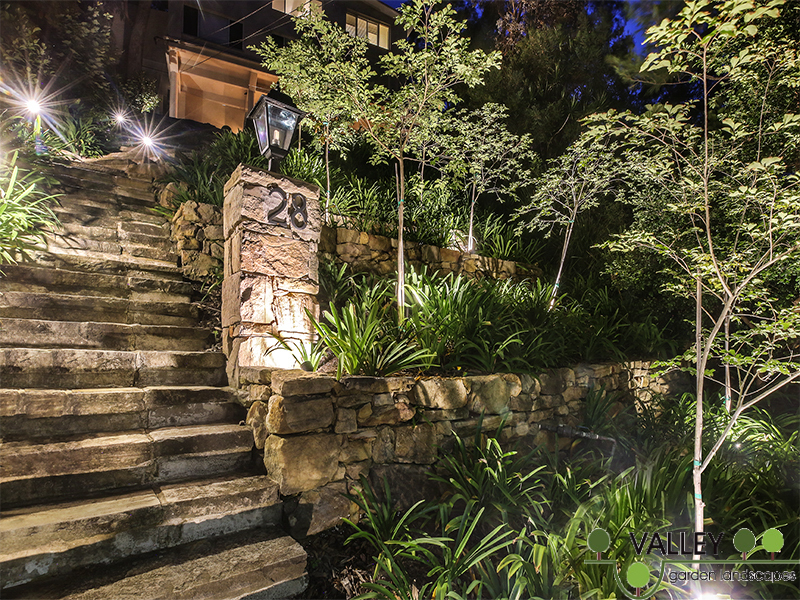 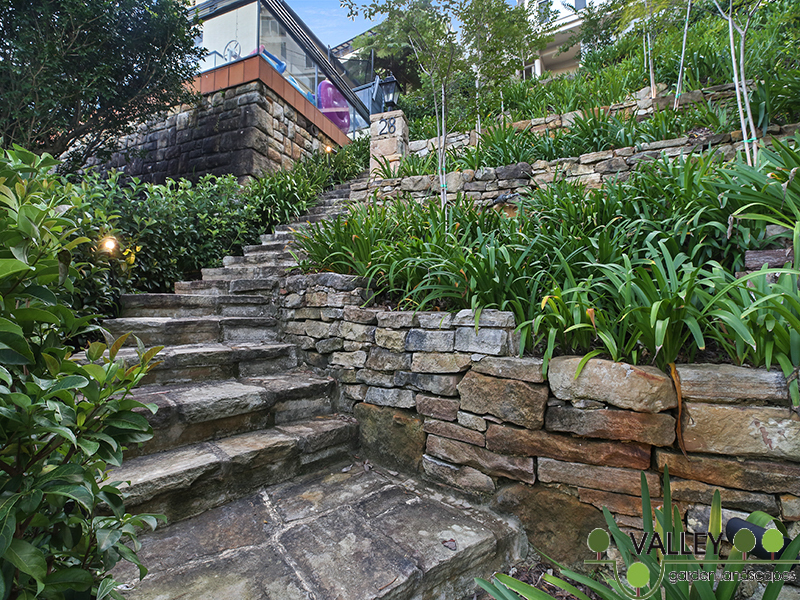 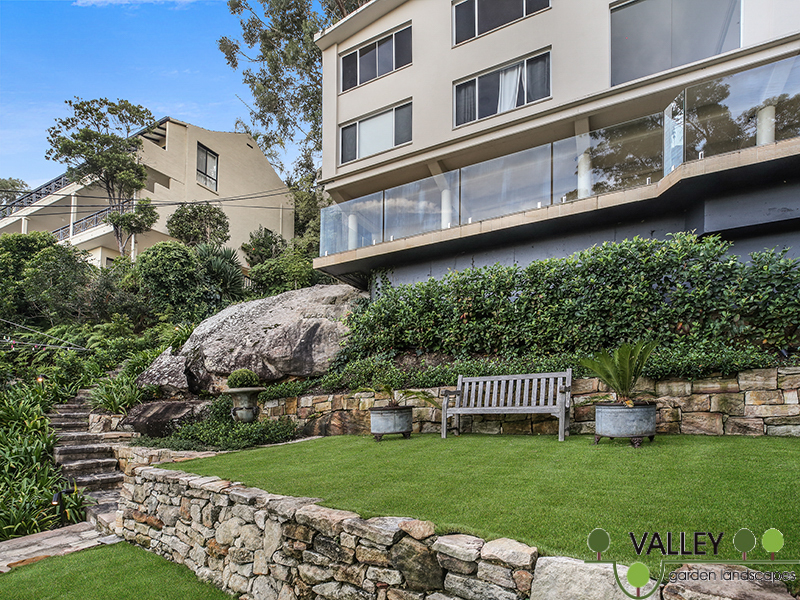 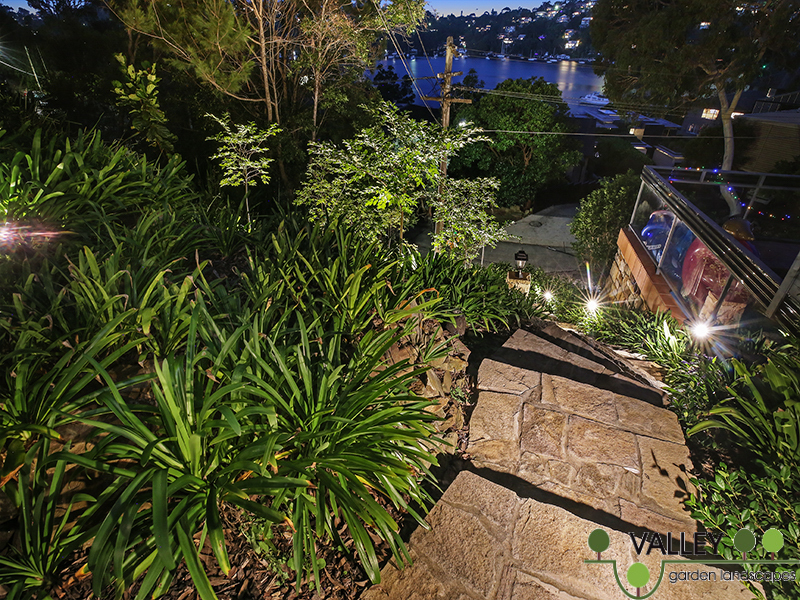 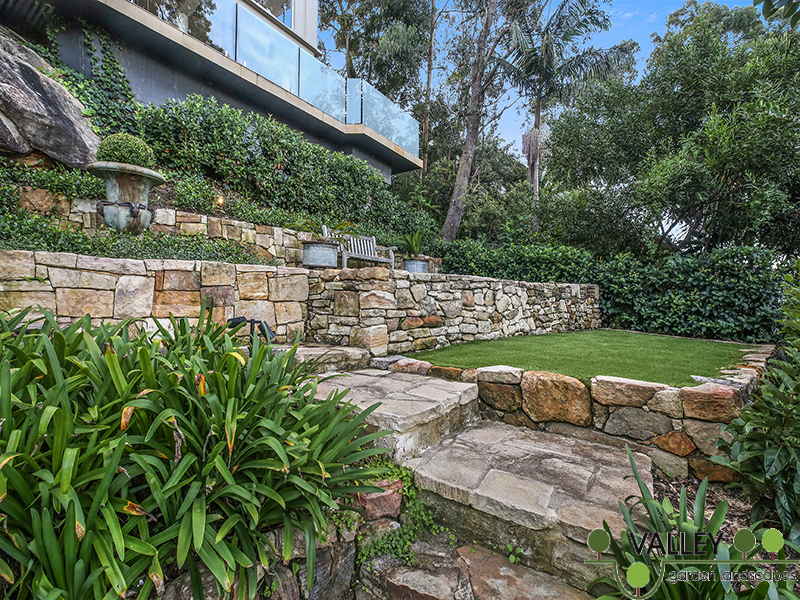 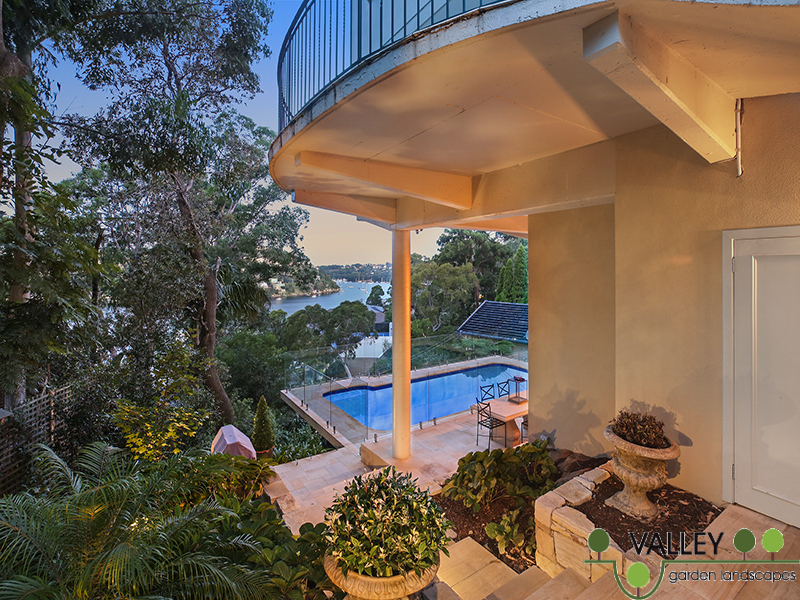 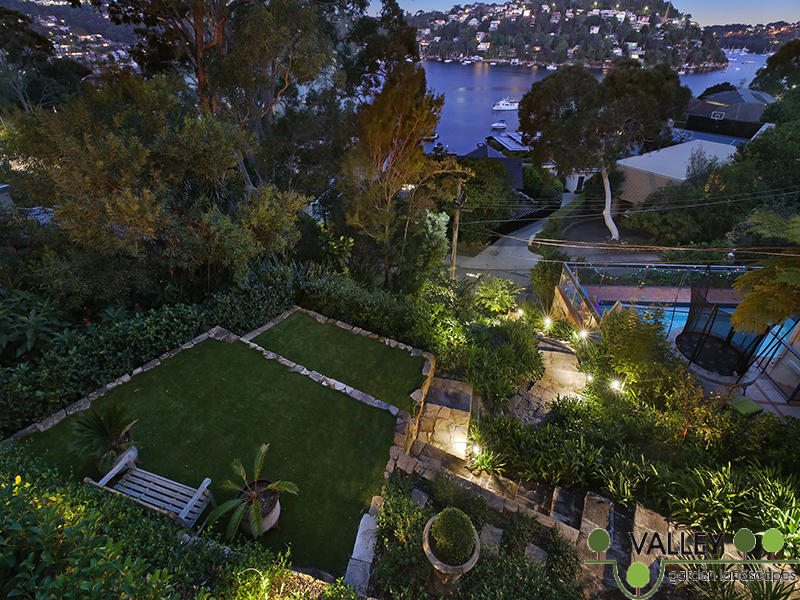 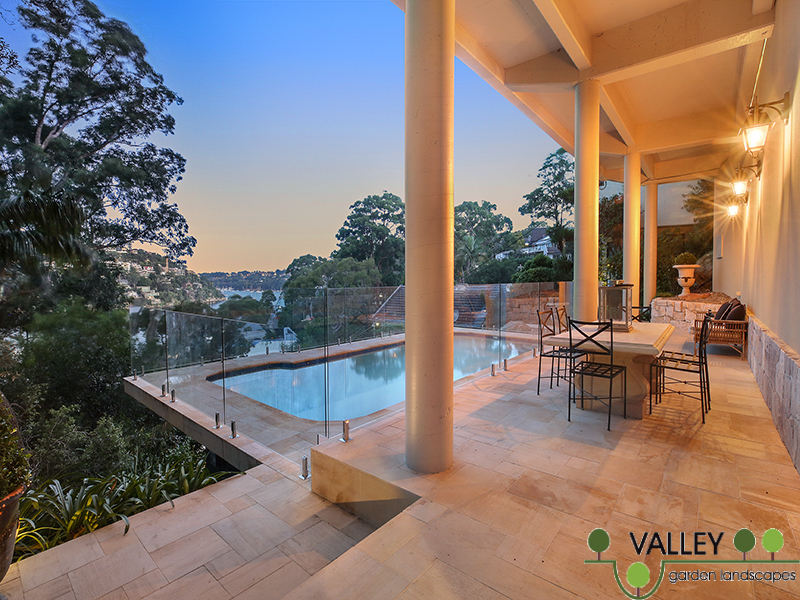 Our clients at this beautiful home in Castlecrag had the most wonderful view over to the harbour but the gardens needed a bit of an overhaul. 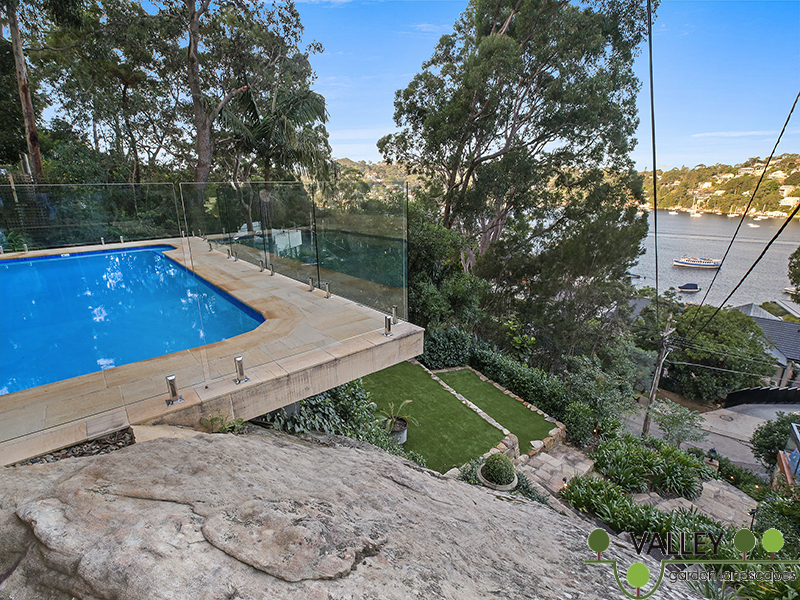 The link between the house and pool area was virtually non-existent and the underside of the house was very unsightly with the crib retaining wall and shed on display. 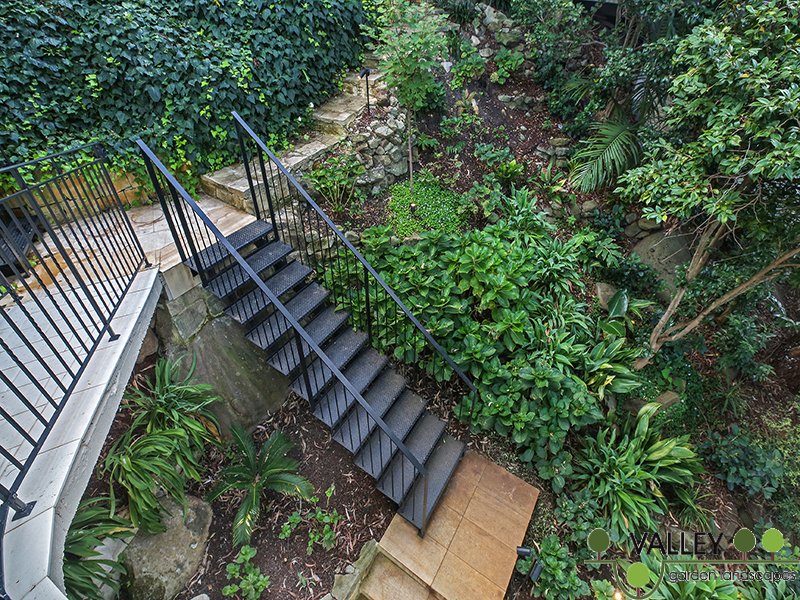 Equally the path and steps down to the road below was dangerous and narrow. 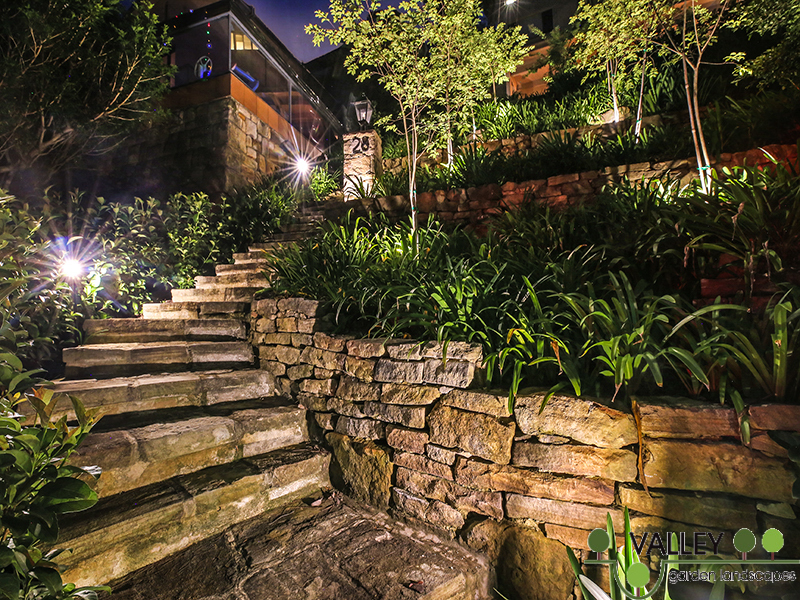 On the plus side there were some beautiful rocks and of course the view was simply outstanding. 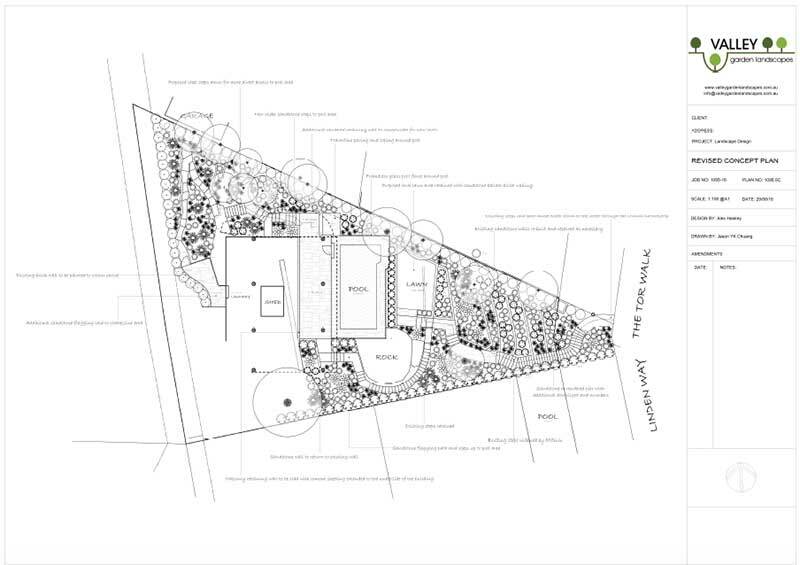 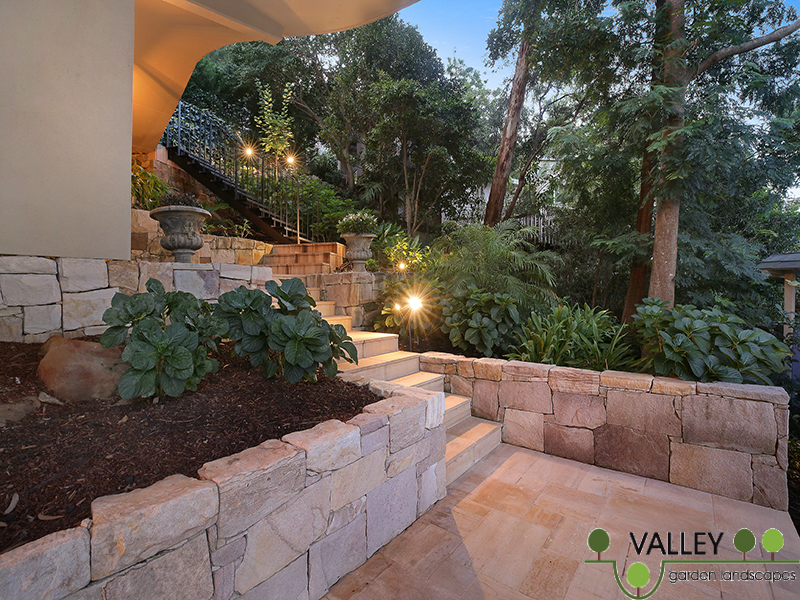 It was decided to widen the existing path and steps and to create a series of terrace garden beds to create level planting and lawn areas on the way up to the pool area. 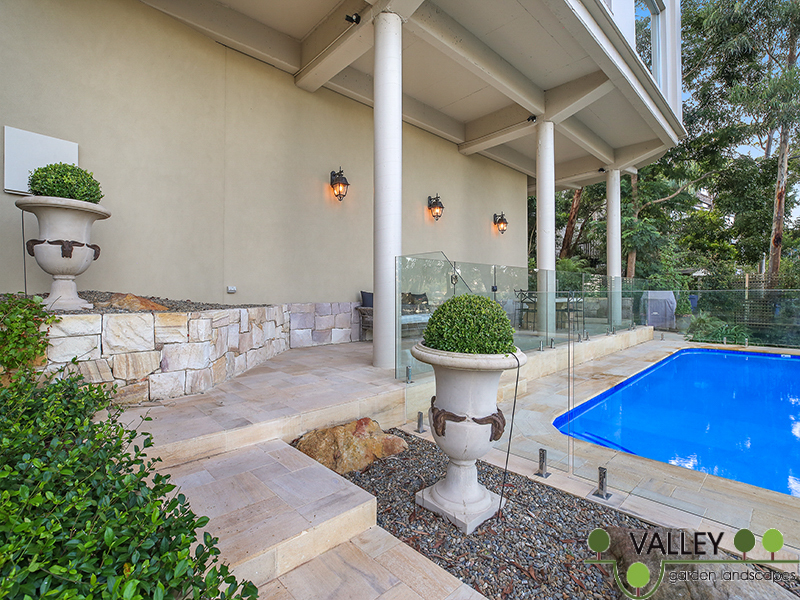 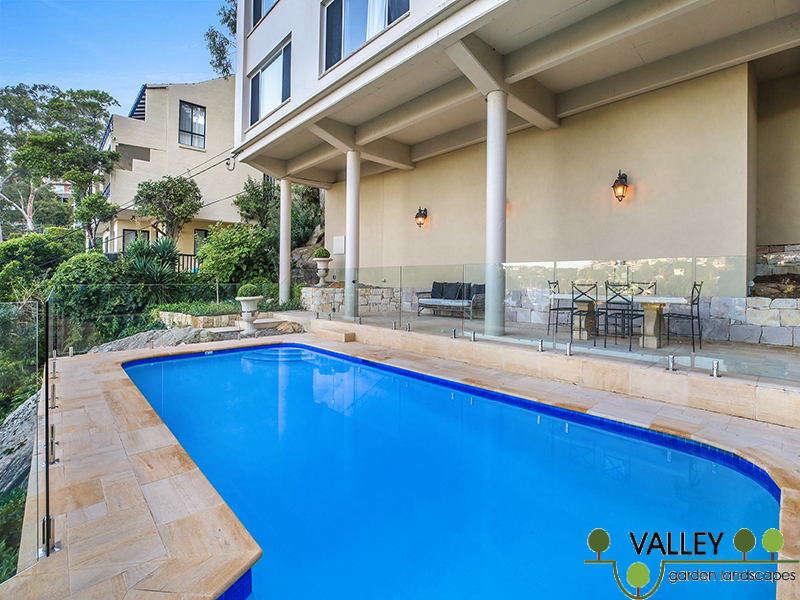 To complement the existing sandstone paths and rocks we used a sandstone paver and new sandstone walling around the pool and up to the house. 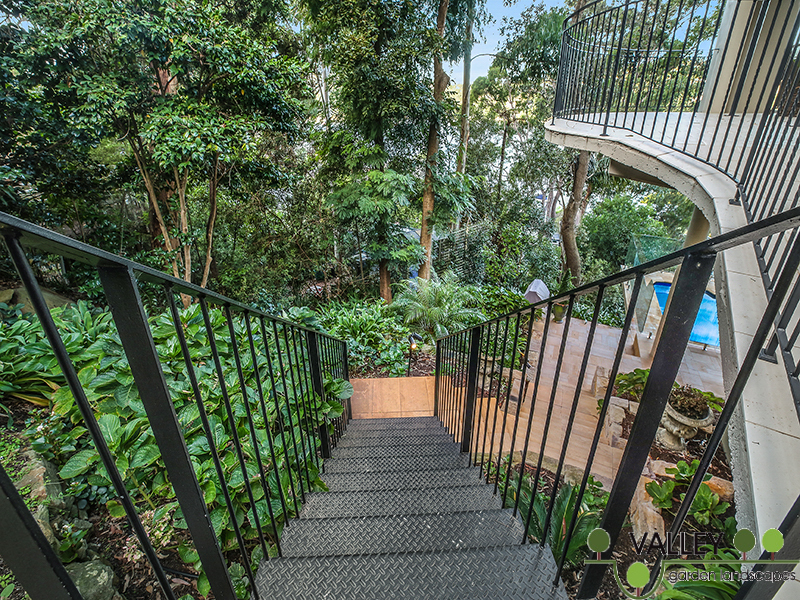 We also installed a couple of steel staircases to make the access as simple as possible. 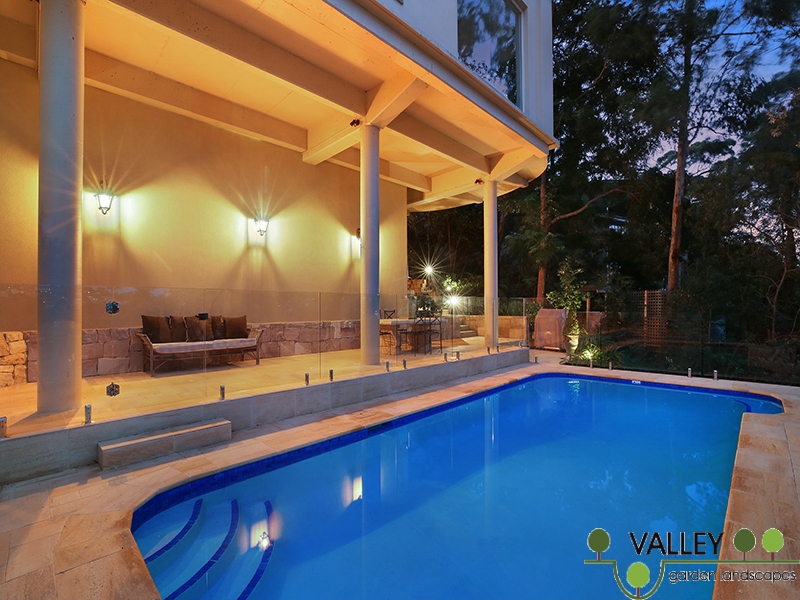 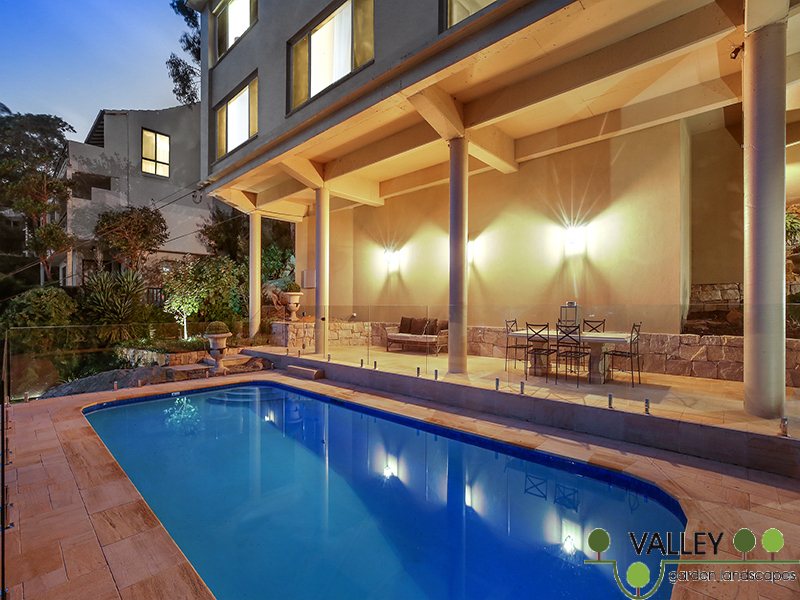 Perhaps the biggest change was to dig back behind the pool and to install a new rendered screen that effectively hid all of the working elements under the house. 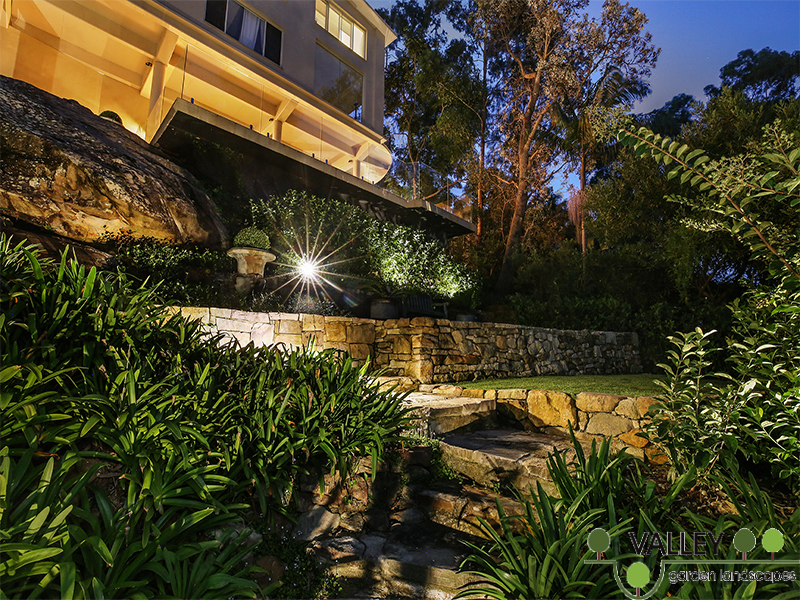 It also meant that we could hang some beautiful lighting and really make a feature of it. 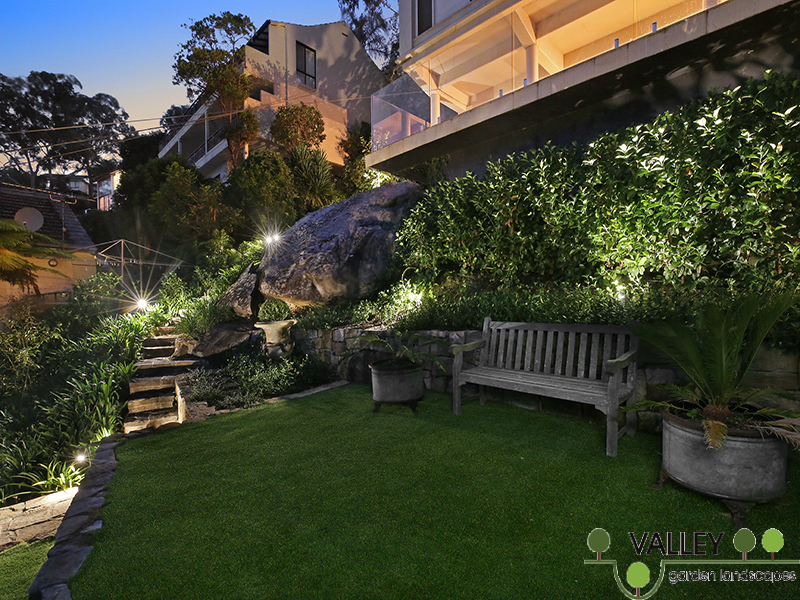 The planting was deliberately kept simple with the bulk of the lower areas given to agapanthus and Crepe Mrytle for easy maintenance.